The best foods to make you a Superbowl host extraordinaire, from flavorful wings to decadent brownies. One of my favorite times of year...NFL playoff and Superbowl weekends!! For me, not much is better. Great football can only be made better by great food. 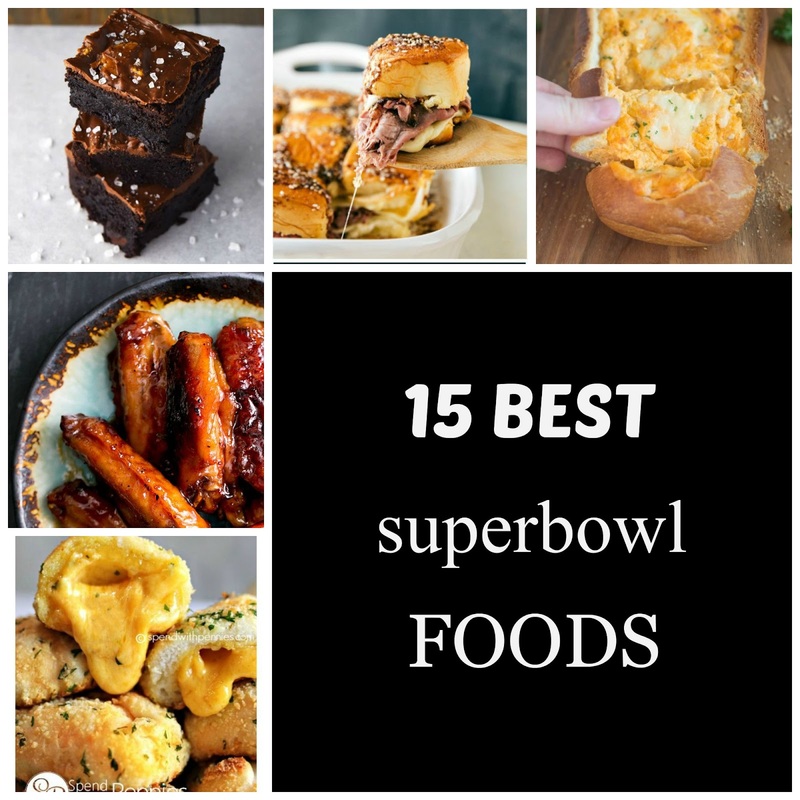 I've carefully sifted through Pinterest's finest football food recipes and have singled out these 15 as the top contenders for the 15 best Superbowl foods. There is a wide variety of food categories found, none lacking creativity and amazing taste. You are sure to impress your guests with any of these recipes! Enjoy! !